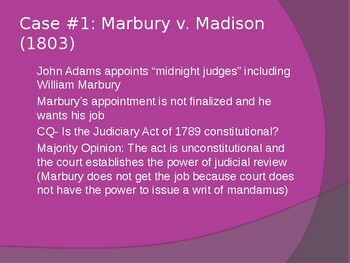 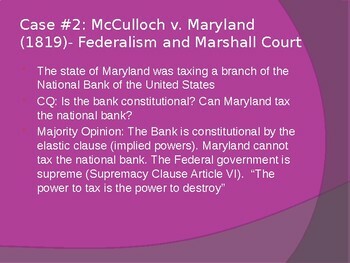 This PowerPoint outlines the 15 required cases for the AP Government exam. 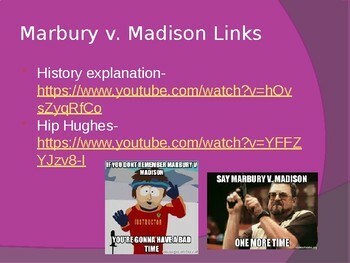 The slides include the constitutional questions, majority opinions, facts of the case, and helpful links to YouTube videos that explain the cases further. 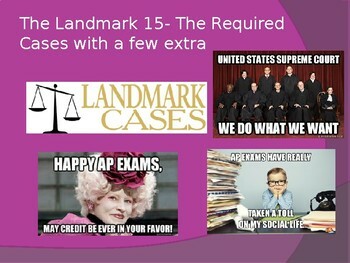 This will help students prepare for the AP exam in May.